The Italian Renaissance was not all serious Leonardo da Vinci and the Popes. Some people went out and had fun, and you can hear it here. While Piffaro are lots better players than typical street players must have been, their brash music might not have been welcome in the better palazzo. This is not quiet, courtly music. They often make a raucous noise in the many short and often very lively dances. If you don't like the reedy, nasal sound of some Near Eastern music, you may not like the prominent shawms here. But I think the raw energy of this music, and the sheer fun Piffaro shares, is just terrific. I was lucky enough to see this group in concert a few years ago. 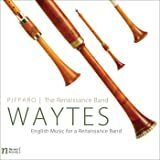 Their music is delightful, a playful collection of Renaissance pieces. At this concert were young and old alike, and all ages revelled in the performance. The performers were enthusiastic and gracious enough to allow concert-goers to come look at their instruments during intermission and after the show. I bought this CD as soon as I could following the concert. Piffaro uses "ancient" instruments, including a French bagpipe (smaller than the Scottish), sacbuts, and the hurdy-gurdy. 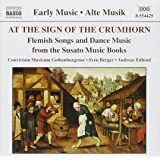 This is an upbeat collection of early music, much more fun than some (although I also enjoy more somber early music collections as well). It's very accessible for listeners unfamiliar with the period. The songs are delightful enough that I can picture children at play with this CD as background music. I wish composers were still writing for hurdy-gurdy @ crumhorn...what a wonderful sound. I especially liked "La Parma". I do believe a modern tunesmith has taken that melody @ recently made a rather haunting popular song from it; a female vocalist, I think. If anyone out there can remember what the name of that modern tune is @ will post it here, it will save me some on-going mental annoyance. You won't go wrong in buying this album! 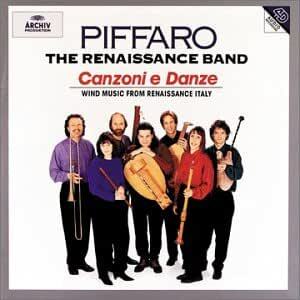 This is an excellent collection of Italian Renaissance wind music. 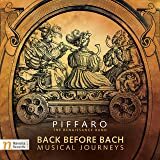 If your interest in music extends to the pre-Baroque, this CD will certainly reward your consideration. 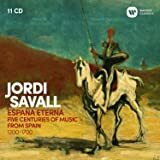 The performances are executed so well, that one almost wonders whether they sound better than would have been the case with respect to a performance contemporaneous with the composition of these works. Simply lovely. Some whimsical, some more technically serious. In all, definitely worth the money and the time. One of my new favorites.